Rental Car Info: Please consult the nearest rental car business at the airport you wish to fly out of, or from the nearest town you are driving from. 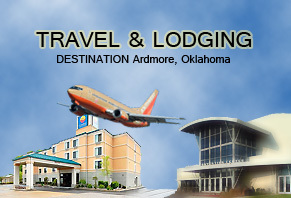 Hotels Near the Ardmore Convention Center: When calling or emailing to make reservations at any of the hotel locations listed below, please mention that you are attending the PPW (Preterist Pilgrim Weekend), or the “Bible Conference” or the “Prophecy Conference.” You can also mention that you are with PRI (Preterist Research Institute). If there is any question as to what you are talking about, simply mention Dr. Don K. Preston of the “Preterist Research Institute” for further clarification. If there is further clarification needed, please contact Dr. Preston using the contact page on this site and we will address the problem as quickly as possible. 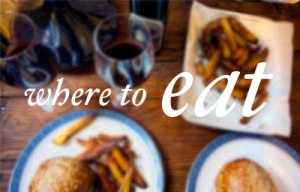 Looking for places to eat, a listing of restaurants, or other good food in Ardmore? Click HERE or the image to the left to be directed to restaurants and dining listings close to the convention center and make your plans ahead of time! This is within a quarter of a mile of the Convention Center, and on the same grounds as Jimmy’s Egg Restaurant. This is attached to the Denny’s Restaurant approximately one mile from the Convention Center. Several attendees have stayed here and said it was very nice. This hotel is nearly brand new!